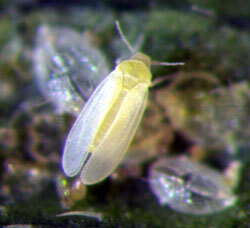 Due to the warmer temperatures this past winter and spring, as well as the recent drought, whiteflies are currently a heavy pest issue in Florida. 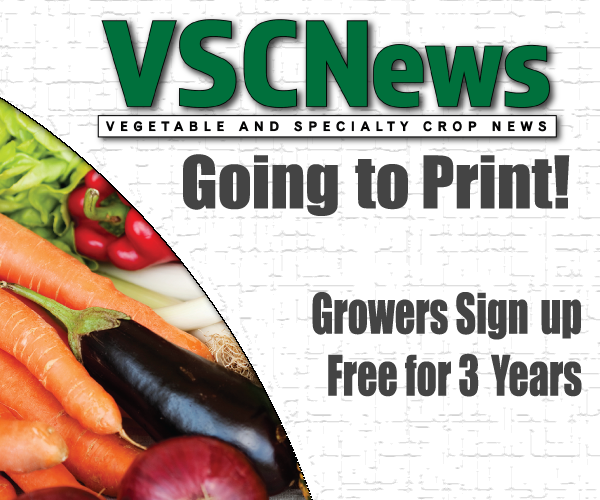 Hugh Smith, assistant professor of vegetable entomology at the University of Florida’s Gulf Coast Research and Education Center, says whitefly populations can quickly rise with hot and dry conditions, like Florida has recently seen. According to the University of Florida’s Institute of Food and Agricultural Sciences (UF/IFAS) Entomology and Nematology website, whiteflies are white in color, typically with a wax-like coating on their bodies. Whiteflies and the diseases they vector can have effects on plants, including tomatoes, zucchini squash and watermelon. One issue in tomatoes is irregular ripening, a physiological disorder from whiteflies. This can occur when the whiteflies inject toxins into the crop. Issues like this can have a severe effect on the yield of the plant. Due to the current higher population of whiteflies, researchers are able to gather large amounts of the pest to test for things such as resistance to insecticides, Smith says. He is currently working with biopesticides to target whiteflies, hoping to see less resistance development in the insects. This may also help protect pollinators, since biopesticides are a softer material. There are natural predators to whiteflies, such as fungal pathogens. However, Smith says the best way to combat whiteflies is with moisture. Another study completed by Janine Spies at UF/IFAS found planting buckwheat with squash could be a potential way to offset whiteflies in squash. This can help prevent silverleaf, a disease that damages squash, which is vectored by whiteflies.